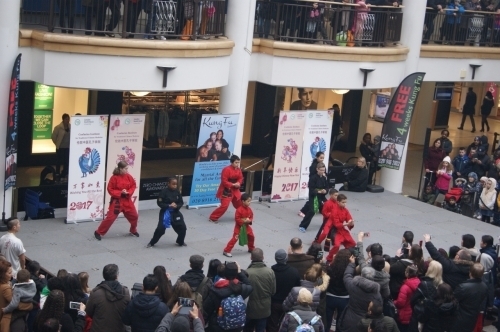 Kung Fu Schools is one of the leading martial arts schools in Croydon and its surrounding regions, offering a complete self-defence system to both adults and children. We teach Wing Chun Kung Fu, a traditional Chinese martial art that traces its roots hundreds of years back to the Shaolin Temple, and whose most famous student is the legendary Bruce Lee. A full time professional Martial Arts School teaching age specific Martial Art classes for all the family. 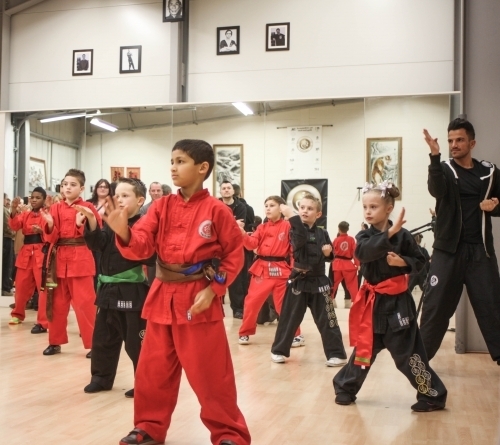 We have 3500 square feet of academy with three dedicated training rooms which are fully equipped to help the students in their martial arts training, self-defence, Wing Chun Kung Fu, fitness, confidence and conflict management. 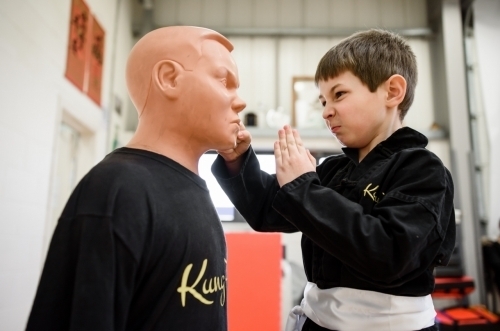 Our ethos at Kung Fu Schools is to build an all round individual (kids 4-7), (kids 7-12), (adults 13+) in martial arts and for future success in life. To help Learn the ABC's of life Attitude, behaviour and character children 4 and above and adults from 13+. 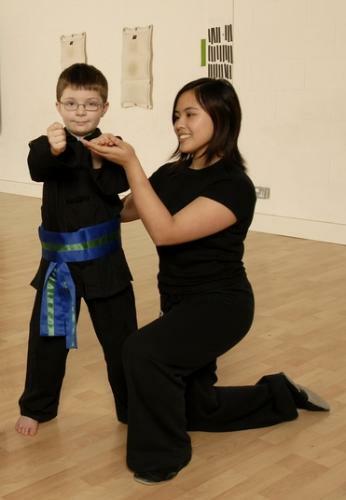 For Children attending the Kung Fu Schools (Croydon), our classes are designed specifically for kids. Your child will not only learn the ABC's of self defence but more importantly the ABC's of life Attitude, Behaviour and Character. (We look to build a well rounded individual) Kung fu garments, clothing and equipment is also purchased in store. With todays' generation of kids it's all about what can I do right now or what's the latest trend. They lack the patience and discipline and the respect that past generations had. 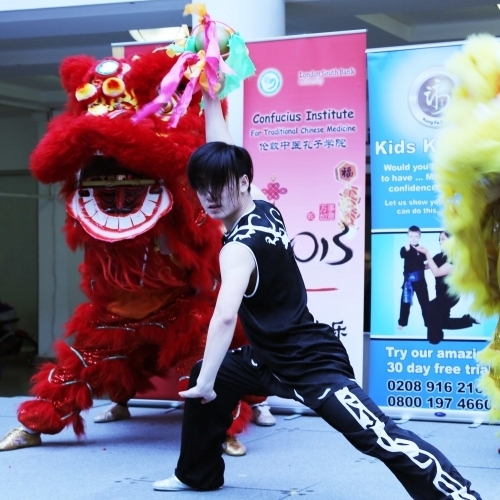 This is what Kung Fu Schools Croydon teaches to both kids and adults. 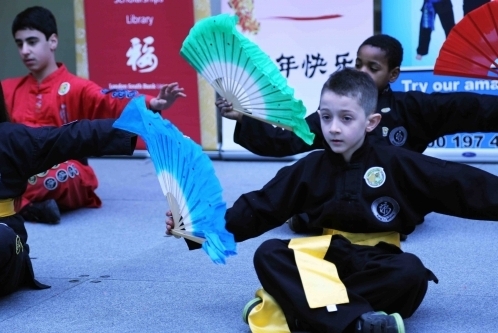 The main purpose of learning traditional Chinese martial arts is not how to fight. If all you were learning, is how to fight, then why is it called Martial "Arts". The beauty is derived from something inside. Loyalty, Discipline, Humility, Respect are all aspects of our lifestyle, which are sadly lacking in these modern hectic times, and even more so in our children. The school helps us by instilling these vital qualities into our lives.If you are looking for quality instruction with a school that really cares about what they are doing and how they teach, Kung Fu Schools is the school to learn at. If you just want to fight and get drunk, then hang out on the street corner's and park's. I know where my kids and I are best off at. I've been going to Kung Fu Schools for 2 years now, and it is great! In the beginners class you get taught really easy and simplistic techniques and ideas to defend yourself against textbook attacks (e.g. swinging punches) and the instructors are really good because they explain these techniques really well and if you don't get it they help you until you get it and they don't get annoyed if you constantly call them over to help you out. Then when you get up to Intermediate/Advanced level you get taught more techniques for defending yourself and they may be harder to grasp but its awesome when you learn to do weapon defences and defending yourself against multiple attackers! 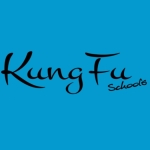 Overall Kung Fu schools is a great school to learn Kung Fu and I would recommend it to anyone!!! I have been attending Kung Fu Schools for quite a while now and the team and instructors are first class, I would recommend to any one. Remembering back on my first lesson, I was greeted with an informative induction and a personal criteria that meets my own priorities I wanted to achieve as an individual. Fellow students and instructors alike are all treated on the same level of respect, and all receive each other with patients and understanding towards our personal goals and needs. With such a successful self defence system and friendly peers, confidence is easily inspired and attained. 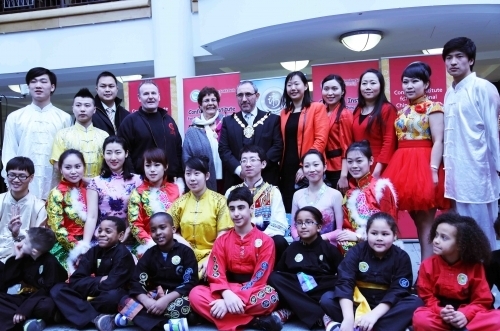 As soon as I entered the kunfu school in Croydon I was greeted by friendly staff and instantly felt at home. My biggest step was walking threw the front door. Training in wing chun has improved my physical fitness as well as changing my out look to life. I feel more confident in all that I do. I personally find training at the centre addictive, and after every lesson I feel refreshed and ready for what the world has to throw at me. Any one who decides to follow in my footsteps will be amazed by what wing chun has to offer. I look forward to training there for many years to come. Luke. I have been training for over a year and i can not recommend it enough. The training is physicaly and mentaly challanging but set in a very friendly and relaxed atmosphere. 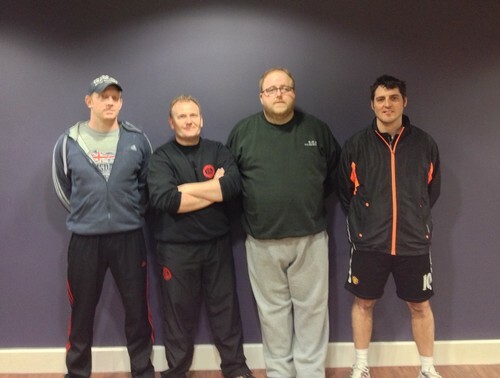 I've been training at Kung Fu Schools for over 3 years and I can't recommend it enough. 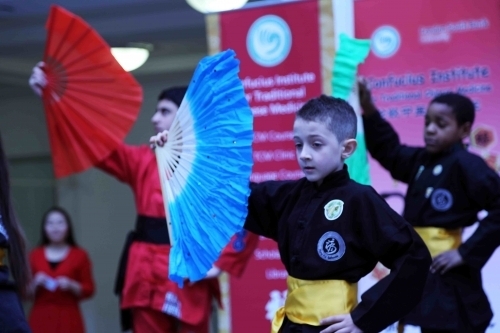 The training is excellent, the atmosphere friendly and the style of Kung Fu very exciting. After trying different martial arts this is the only time I've wanted to stick with one so a big thank you to everyone here. My son has been training here for 3 years now. I find it's very good for his concentration as well as giving him an idea of what hard work and dedication can achieve. It's a great place for kids to learn Kung Fu in a safe environment where patience and self control are emphasised above confrontation. The teachers are also friendly and the lessons always fun. 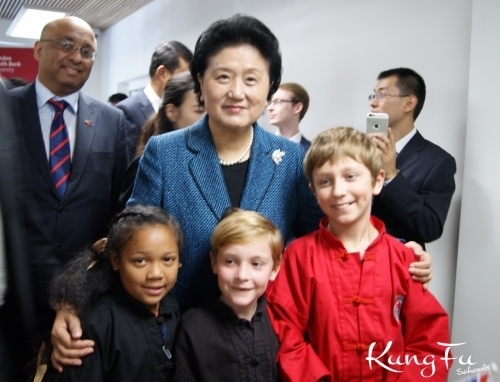 Since my son joined the Kung Fu School, he has excelled in his school work, with a definite improvement in his behaviour and concentration. 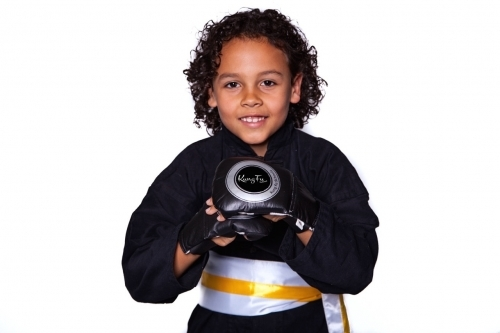 The Kung Fu School reward and positive reinforcement system has definitely encouraged effort and achievement in all areas of his school work, music, and sports. He has been a student there for over a year now and I can't thank everyone at the Kung Fu Schools enough. Absolutely brilliant! This is a fantastic school of learning. Not just in the art of Kung Fu, that in itself would be enough but also in the art of discipline, respect, fitness, self control, and co-ordination. The teaching is thorough and deep and the training is intense and detailed.The atmosphere of the classes are great to learn in, and the children's classes are truly enlightening. If you're after a quick fix don't bother. If you want to learn Kung Fu make the call. I have started 2 months ago to try to get through some emotional pain, wanting to learn more about the martial art discipline. I have found a wonderful supportive team fully dedicated to my development. A team of great people, offering friendly service and intensive training to the highest level. Highly recommended whichever is the reason for which you would be interested in martial arts. Cater for all needs.. 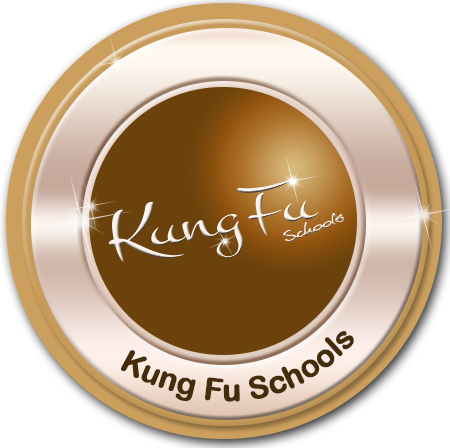 I've been attending classes at Kung Fu schools Croydon for several years now and recently achieved my 1st Degree. I started as a way of improving my coordination, fitness and balance, and have got much more out of the classes than I initially expected. The classes are friendly and the tuition to a high standard, and I recommended that my nephews enrolled. 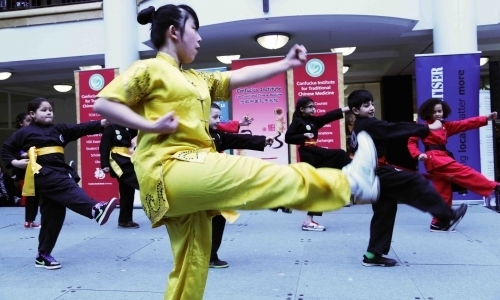 A Martial Art from Southern China, an excellent self-defence made famous by Bruce Lee. We have 3500 square feet of professional martial arts school with beginners, intermediates and advance classes for children (4-7, 7-12 years) and adults (13+ years).